A Slice of Life: : SURVIVOR Philippines: is it worth watching? 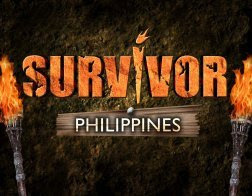 : SURVIVOR Philippines: is it worth watching? It has been many days now where I saw Paulo Bediones on TV promoting Survivor Phils. and last night (Sept. 15) the much awaited opening of SURVIVOR Phils. was finally aired via GMA Channel 7 after Kim SamSoon. Actually I wasn't able to view the 1st few minutes of it bec. I was flickering the remote from Channel 2 and other channels. That happens when many programs that I like are shown at the same time. I was kinda baffled to know that it was in Talohwow Bay Tarutao National Park in Thailand where they shoot it. I am not sure why they didn't held it here in Phils. Anyway, 18 castaways will play to win a whoooping P3 million pesos, a great sum of money to be won plus the stature of being the 1st Phil. sole survivor. They have 39 days to outwit themselves physically and mentally just like in other Survivor series that we watched. In the 1st episode, they swam across the beach where contestant's will and endurance were tested. The men and the women where separated into 2 teams Jarakay and Naak camps. The rain didn't stop them from starting the 1st tasks where the men won. The ladies will then have to sleep with the chains still on them and with no shelter. This is another reality TV show that for sure I will watch and follow. Are you going to watch this show and is this worth watching? Who will be the 1st Phil. sole survivor, ? we'll have to find that out.